Three months after the deadliest mass shooting in modern U.S. history, yet another crucial change in the narrative has occurred as MGM Resorts International is now claiming that the hotel staff at Mandalay Bay had at least 10 interactions with suspect Stephen Paddock in the days before the shooting. Mandalay Bay staff, room service and housekeeping had contact with Paddock or entered his suite more than 10 times over the course of his stay, including the three days leading up to October 1. There were numerous interactions with Stephen Paddock every day at the resort, including a room service delivery and a call with housekeeping on October 1, all of which were normal in nature. Following the shooting, reports claimed that Paddock’s arsenal consisted of 47 guns—23 of which were found in his hotel room—along with more than 50 pounds of exploding targets and 1,600 rounds of ammunition. While the hotel’s surveillance footage from the days leading up to the shooting has yet to be released, one of the most pressing questions surrounding the massacre is how Paddock was able to transport all of the weapons and supplies to his hotel room without raising any red flags. 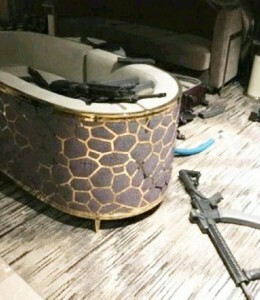 At the time, Wynn was also critical of Mandalay Bay for failing to make contact with Paddock for two or three days, with the assumption being that he put a “Do Not Disturb” sign on the door of his room during his stay. “The scenario that we are aware of would have indicated that he didn’t let anyone in the room for two or three days. That would have triggered a whole bunch of alarms here,” Wynn said. The latest change in the timeline is significant because it implies that hotel staff were in Paddock’s room at least twice on the day of the shooting, and did not notice anything out of the ordinary about his luggage or his behavior. 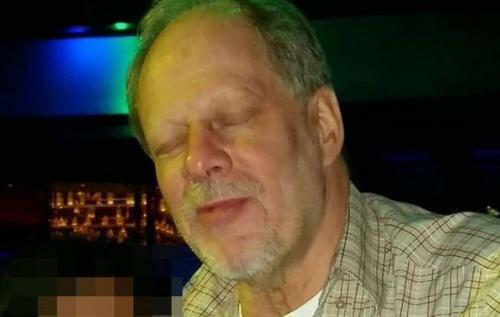 While Wynn claimed that the scenario he was aware of involved Paddock using a “Do Not Disturb” sign for up to three days, the spokesperson for MGM claimed that if Paddock had done this, it would have required the hotel staff to conduct a welfare check. “All MGM Resorts properties follow a health and welfare check operating procedure that stipulates a welfare check be performed after two consecutive days where a do-not-disturb sign has been displayed on the door and the guest has not interacted in-person or by phone with housekeeping or other hotel staff over the same period,” the spokesperson said. Craig Eiland, an attorney for a number of victims from the shooting, noted that MGM Grand claims to have a “corporate watch center” that trains its employees to report any suspicious activity. So if a guest arrived at Mandalay Bay Hotel with two dozen rifles and thousands of rounds of ammunition stored in 10 bags, why didn’t the employees who helped him, or the cleaning service who visited his room regularly, report suspicious activity? And if they did, why wasn’t it addressed? I do think that after 30 days, we ought to be having more information than we have right now. For example, we know bits and pieces. We know that he arrived with 10 bags. We know that two bellmen helped him carry those bags up. Then we find out that those 10 bags had guns in them and 5,000 rounds of ammunition. We know that MGM claims to have an ‘If you see something, say something’ policy—and you’re telling us that nobody saw those guns over a 5-day period? No maid, no housekeeping, no food service ever saw any of the guns? Nobody saw him using power drills in the hallway? Nobody saw him setting up security cameras? These are all things that need to be answered. As The Free Thought Project has reported, the narrative of the shooting has changed multiple times. From the facts surrounding whether an officer discharged his weapon upon entering Paddock’s room, to the presence of police and security guards when the shooting began, the official story has been riddled with inconsistencies. Rachel Blevins is a Texas-based journalist who aspires to break the left/right paradigm in media and politics by pursuing truth and questioning existing narratives. Follow Rachel on Facebook, Twitter and YouTube. This article first appeared at The Free Thought Projec.